NOWHERE IS THE BOUNTY FROM our local food shed—from fruits, veggies and wine grapes to free-range beef, pork and lamb—better showcased than at our region’s winemaker dinners. The gatherings are hosted by chefs, winemakers and caterers in exceptional venues: historic buildings, such as Julia Morgan’s North Star House in Grass Valley; in a wine cave at Viña Castellano in Auburn; at vineyards such as Naggiar in Grass Valley; even on mountain peaks such as Northstar at Lake Tahoe. We also enjoy the beer maker dinners hosted by local pubs such as Matteo’s Public and Jernigan’s Tap House & Grill in Nevada City. A beer maker dinner at Jernigan’s featured Professor Charlie Bamforth, UC Davis’ world-renowned beer expert. Tom Dalldorf, publisher of the popular Celebrator Beer News, is a regular at both pubs. 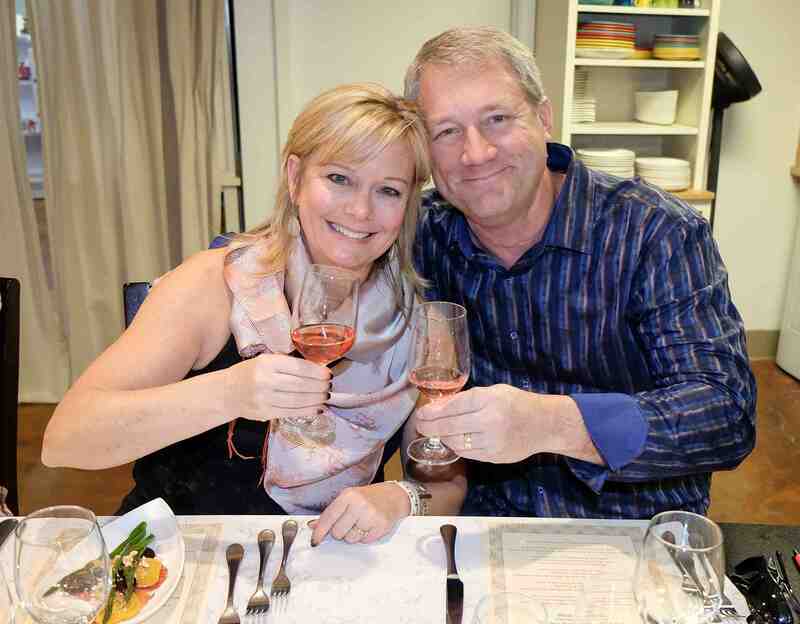 An upcoming dinner at Chef’s Table at Tess’ Kitchen Store — “A Spring Menu to Showcase Wines from Nevada City Winery” — epitomizes the winemaker dinner trend. It features a creative menu prepared by Chef Alan Tangren to go with wines from Nevada City Winery, now in its 37th year. Award-winning winemaker Mark Foster is a dean of foothills winemaking. In the past, Chef’s Table has dedicated a winemaker’s dinner to varietals from Solune Wines in Grass Valley. Chef Alan and Solune owner-winemaker Jacques Mercier, neighbors in Chicago Park, have forged a friendship over food and wine. One recent afternoon, Chef Alan sat in the demonstration kitchen at Tess’ tasting Nevada City Winery’s varietals with wine representative Jeff Struthers, also an experienced chef and winemaker. The six-course dinner is on June 3 and Mark will be on hand to discuss each varietal. Guests will gather around the demonstration kitchen while Alan prepares the meal.